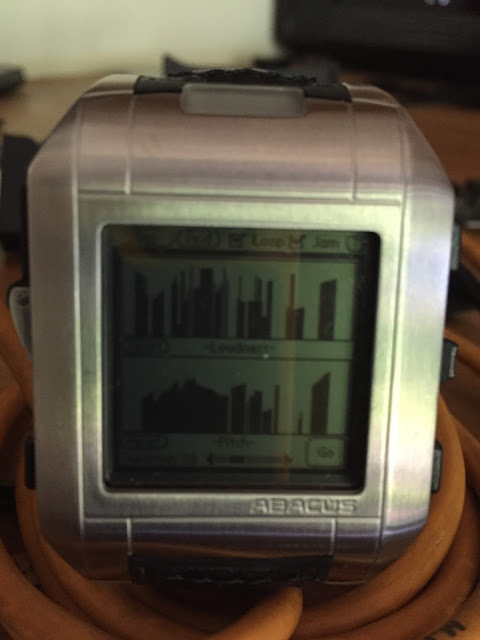 Piezo power is an old Palm OS app that creates interesting sounds using a variable tone and volume using waves drawn on screen. After my experience with Theremini I thought that this might not work either, but it did! It was quite quiet but it definitely made a sound! It's very cool. One thing that marked out Piezo power was that it could work on two Palm OS PDAs simultaneously. As you can imagine that's my next experiment! You probably won't have to wait too long for that!